Most computer technologies only last a short time before they are replaced by something new, but DDR RAM is one of the few that tends to last a while before being replaced. 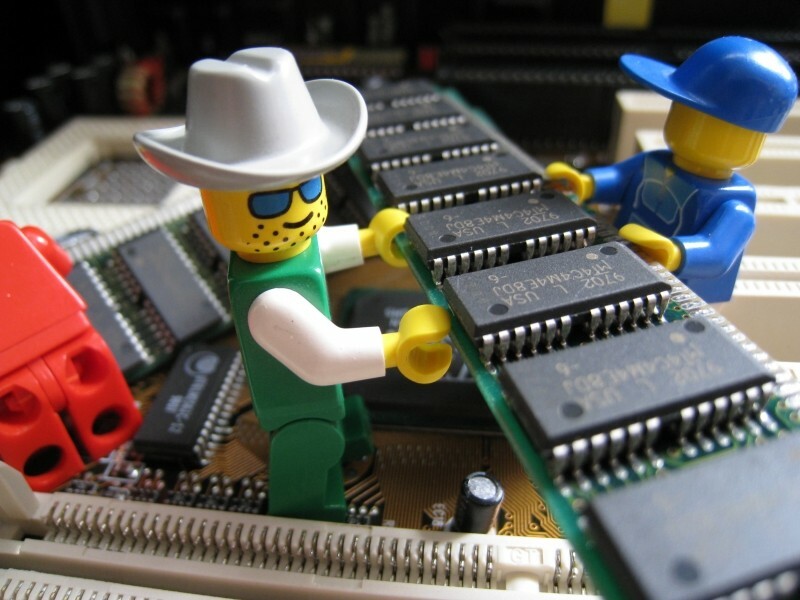 The original DDR SDRAM was launched in 2000 and lasted three years before being replaced in 2003 by DDR2 SDRAM. DDR2 lasted another four years before being replaced in 2007 with DDR3 SDRAM. Since then, it has been seven years without a new revision of DDR RAM, but DDR4 has finally been launched to replace DDR3 SDRAM. Guest author Matt Bach is the head of Puget Labs and has been part of Puget Systems, a boutique builder of gaming and workstation PCs, since the early days working in various subsets of production. This article was originally published on the Puget blog. From a physical standpoint, DDR4 is the same width as DDR3, but is slightly taller by about .9mm. The main physical difference between DDR3 and DDR4 is that DDR4 uses 288 pins compared to the 240 pins on DDR3 and the key is in a different location. In addition, the pins on DDR4 are not in a straight line but slightly curved with the middle sticking out further than the pins on the end. Though there are ton of changes, the four major improvements of DDR4 SDRAM can be summed up in lower operating voltage, increased power saving enhancements, increased frequency, and improved chip density. DDR3 RAM natively runs at 1.5V with low power modules running at 1.35V. Some manufacturers go outside of this, of course, but the majority of DDR3 RAM runs at this voltage. DDR4, however, natively runs at 1.2V with low power modules expected to run at just 1.05V. In addition, DDR4 supports a number of power saving enhancements including a new deep power-down mode to reduce power consumption when the system is in standby. The lower operating voltage and power enhancements allows DDR4 RAM to draw less power (and consequently run cooler) than DDR3 RAM. In terms of performance, DDR4 RAM will start at 2133MHz (which is roughly the upper limit for DDR3) and is expected to eventually reach speeds as high as 3200MHz. DDR4 chips are also able to be manufactured in densities of up to 16Gb (or 2GB) per chip, which is double the density of DDR3. This means that we should start seeing consumer-grade DDR4 RAM in capacities of 16GB per stick and possibly as large as 64GB per stick for server-grade memory. Like most new technologies, DDR4 isn't perfect. While DDR4 is still new, memory sticks are expected to be anywhere from 20-50% more expensive than an equivalent DDR3 memory stick. As demand increases we expect the cost to come down drastically, but for now DDR4 is simply going to cost more. The second problem is that even though DDR4 RAM will run at a higher frequency than DDR3, the timings are actually much looser. While a DDR3-2133MHz stick normally runs at around CL10-CL11, current DDR4-2133Mhz sticks run at CL15. This isn't unusual and is pretty much exactly what we saw when DDR3 was introduced, but it does mean that DDR4 likely won't be any faster than DDR3 -- at least at first. In fact, when comparing performance between the Core i7 5960X and 4960X, Geekbench reports only slightly higher memory scores from the system with DDR4-2133MHz memory versus the one with DDR3-1600MHz memory (5691 versus 5382). Once higher frequency DDR4 becomes available and the timings tighten up a bit, we should start seeing the performance benefits of DDR4. System memory is a very important aspect of modern computer systems, but today's RAM is simply not a bottleneck in most applications. Faster memory is certainly not a bad thing, but the performance possibilities are not really the main benefit of DDR4 over DDR3. In fact, since DDR4 memory requires a completely different chipset and CPU from DDR3, it is actually very difficult to benchmark the performance benefits of DDR4 RAM. Right now, the more accurate comparison is actually comparing the entire DDR4/X99/Haswell-E platform to a DDR3 platform, as shown in this Core i7 5960X vs. 4960X Performance Comparison article. Rather than performance the two things to be the most excited about with DDR4 RAM is the lower operating voltage and the increased storage densities. Lower voltage components simply run cooler than their higher voltage counterparts and are generally more reliable. There are of course exceptions to this, but as a general rule of thumb I have found it to be fairly accurate. If picking one aspect of DDR4 as the single most important one, the storage density would easily be my choice. It is a very unassuming aspect of DDR4, but the fact that DDR4 memory should eventually be available in sticks that are twice the size of DDR3 sticks is almost a necessity for DDR4. As programs and data become larger and more complex, larger RAM capacities is going to become more and more important. Already, about 33% of the X79-based systems sold at Puget Systems since January 2014 have maxed out the amount of memory that can be installed in the system by using 8x 8GB sticks or 64GB of RAM in total. This is a huge portion of Puget's X79 sales, so once DDR4 RAM becomes available in larger capacities we fully expect DDR4 to become very desirable in high-end workstations.